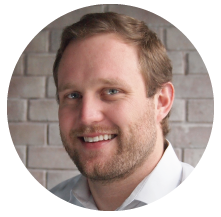 Mitch joined VDC as its CEO in 2007 and brings a range of operating experience in technology companies large and small, public and private, focused on hardware, software and services. From 1994 to 1996, Mitch was a Product Manager at General Instrument (now Motorola Solutions) where he led the development of a new online gaming platform called Sega Channel, a joint venture with Time Warner and Sega of America. In 1997, as the Web was first emerging as a new medium, Mitch joined Organic, Inc., one of the first major Web consultancies, as a consultant to premier consumer brands that were establishing their presence on the Web for the very first time. The company had a successful IPO in February of 2000. Mitch subsequently went on to co-found Collabridge Technologies, an innovative venture capital-backed start-up focused on the online advertising market. Mitch’s early career was as an analyst with Merrill Lynch & Co. where he provided analytical and deal structuring support on large debt offerings, including the financing to build The Honda Center, home of the Anaheim Ducks hockey team. Mitch holds an MBA from the Tuck School of Business at Dartmouth College and a BA from Northwestern University. David has more than ten years experience covering the markets for enterprise and government mobility solutions, wireless data communication technologies and automatic data-capture research and consulting. David focuses on identifying the key drivers and enablers in the adoption of mobile and wireless solutions among mobile workers in the extended enterprise. David’s consulting and strategic advisory experience is far reaching and includes technology and market opportunity assessments, technology penetration and adoption enablers, partner profiling and development, new product development and M&A due diligence support. David has extensive primary market research management and execution experience to support market sizing and forecasting, total cost of ownership (TCO), comparative product performance evaluation, competitive benchmarking and end user requirements analysis. David is a graduate of Boston University (BSBA). 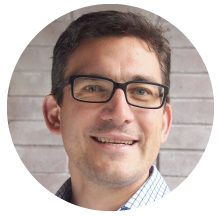 Chris is responsible for syndicated research and consulting engagements focused on development and deployment solutions for intelligent systems. He has helped a wide variety of clients respond to and capitalize on the leading trends impacting next-generation device markets, such as security, the Internet of Things, and M2M connectivity as well as the growing need for system-level lifecycle management solutions. 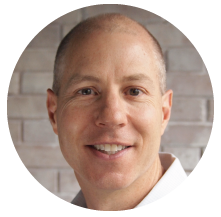 Chris has also led a range of proprietary consulting projects, including competitive analyses, strategic marketing initiative support, ecosystem development strategies, and vertical market opportunity assessments. Chris holds a B.A. in Business Economics and a B.A. in Public and Private Sector Organization from Brown University. 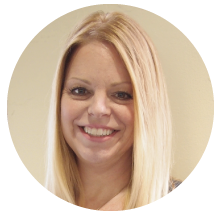 Michelle is responsible for reporting, planning, implementing, managing and controlling all financial-related activities for VDC Research. In addition, she is responsible for HR strategy execution and employee retention activities including employee recruitment and new hire orientation, employee relations, benefits/401k administration, and HR policy development. Michelle holds an accounting degree from Dean College.